He's best known for his modern day comedies, such as Peep Show and That Mitchell and Webb Look. 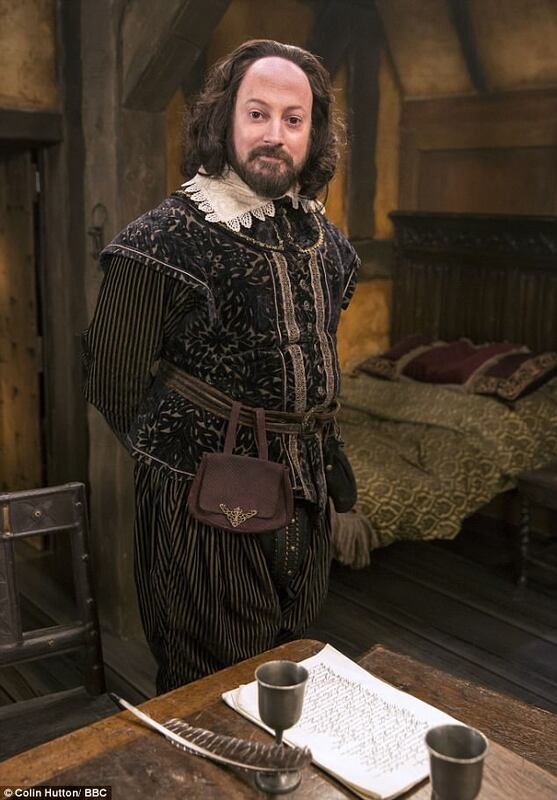 But now comedian, David Mitchell, 43, has travelled back in time for his latest role, playing Shakespeare at Christmas. 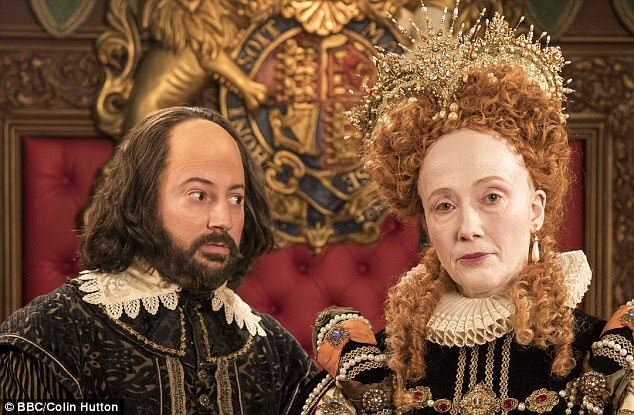 The funnyman has enlisted the help of Hollywood heavyweight Emma Thompson to portray Queen Elizabeth I in a Christmas special of his BBC comedy Upstart Crow. 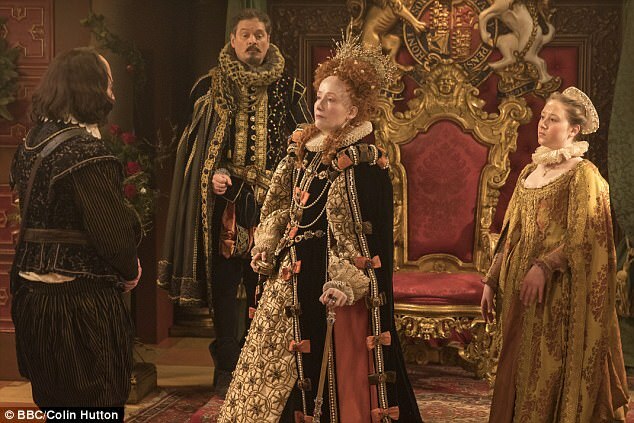 Oscar-winning Emma is barely recognisable as the monarch, who reigned from 1558-1603, on the BBC special, dressed head to toe in historical garb. In the teaser pictures, Emma takes on the incredible look of the Queen, taking on the infamous red hair. David also takes on a dramatic new look, sporting the famous balding brown hair and white collar of the iconic playwright, who died in 1616. 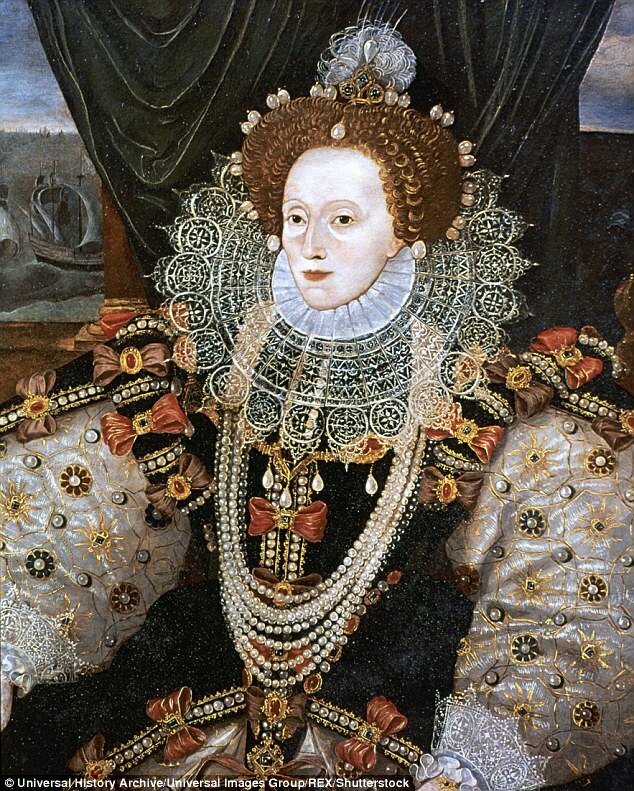 In the festive show, Shakespeare is set to perform his latest play, titled Eighth Night, to the notoriously stern Queen. Actor Mark Heap plays antagonist Robert Greene, who in real life disliked William and his work. David's Shakespeare hopes to make the right impression as he continues to work on the play. 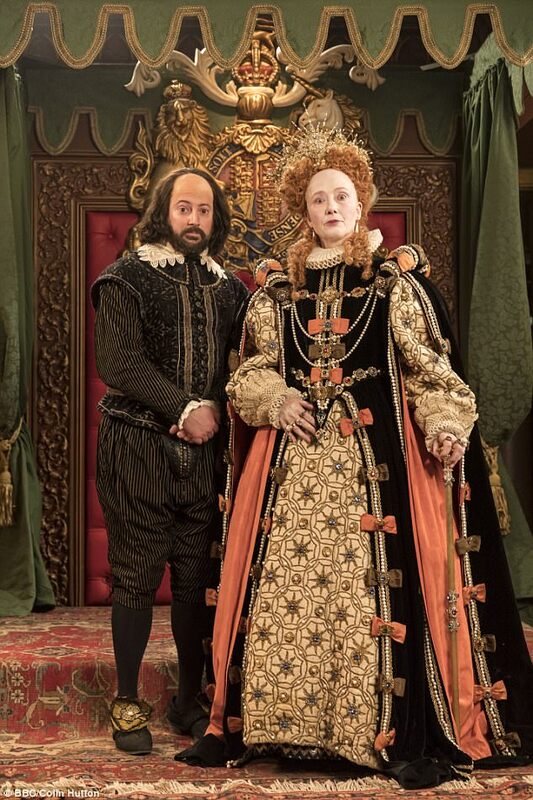 The second series of the popular Shakespearean comedy premiered back in September and a third series and second Christmas Special is set to air next year. 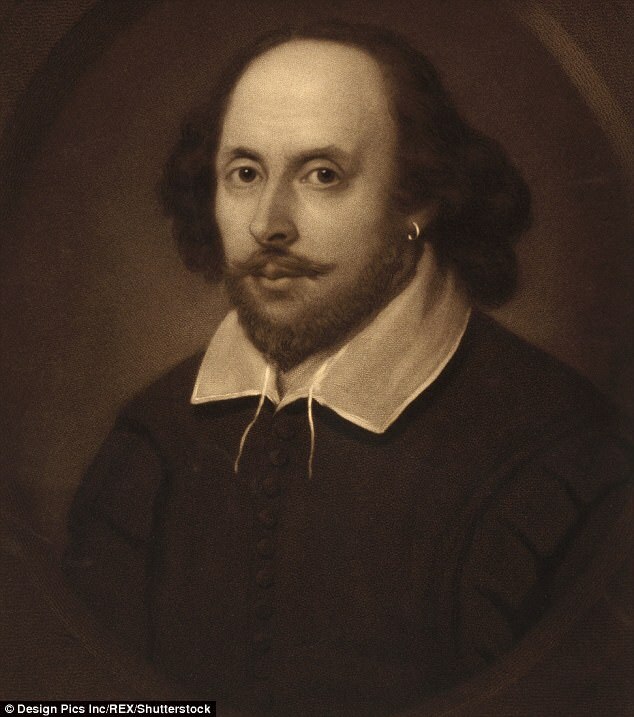 The comedy, written by Ben Elton, started in 2016 as part of the 400th anniversary of the Bard's death. Will's wife Anne, played by Liza Tarbuck, is the doting wife, while daughter Susanna, portrayed by Helen Monks, plays a typical teenage daughter - tantrums and all.